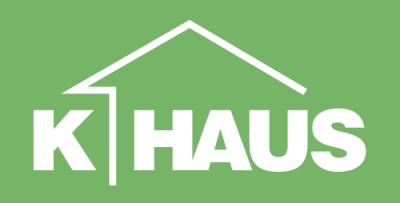 K-HAUS uses offsite manufacturing methods, and have jointly developed with KAMPA a closed panel flat pack home system that is based on proven German engineering tailored to meet the stringent ongoing requirements set by UK building regulations. The offsite system allows for flexibility of design, and enables predictable construction timetables with less reliance on on-site trades and the weather. This approach significantly improves the speed of construction projects and reduces cost over runs. Using state-of-the-art manufacturing facilities with fully automated machinery linked to a 3D CAD/CAM system, ensures our flat pack homes are produced with millimetre precision. Our partner KAMPA's factory is manned by fully trained craftsmen who's focus is to maintain accuracy and quality throughout the end to end design, manufacture and build process. K-HAUS uses a closed panel system that involves producing all the major flat pack elements that make up the home in a quality controlled factory environment. The walls, floors, ceilings, roof, insulation and other components, e.g. 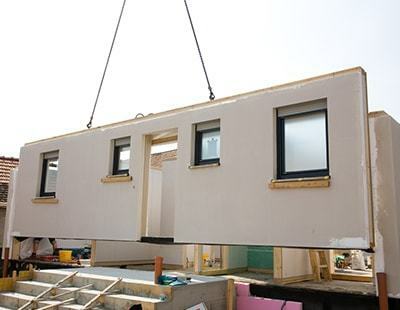 doors and windows etc, are assembled into readymade panels that are then delivered to site and erected in two/three days, ensuring windtight and watertight conditions ready for final fit-out to begin.